From Missouri Southern Lions – Missouri Southern’s head soccer coach Alese Woolard announced the signing of six freshmen today that will join the team next season. “Adding this group of talented players to the roster makes us very eager to start the 2012 season. I believe their positive attitudes and work ethics will mesh well with those of our returners, and I expect to remain very competitive in the MIAA. I look forward to seeing how each one will contribute to our program,” said Woolard. They join a squad that just graduated 8 seniors, including midfielder Brianna McKenzie (Webb City) and goalkeeper Randi Russell (Joplin) who were both regulars during all four years at MSSU. Not mentioned in the story is Natascha Lord, who appears on the roster as a senior. Natascha originally signed with Southwest Baptist out of High School but soon transferred to Culver-Stockton where she played soccer and basketball. During her time at Waynesville she paired with Katie Pritchard on the pitch and the hardwood. Hannah was a four year starter at center midfielder for Charles Page High School in Sand Springs, Oklahoma. As a freshman she earned All-District honors for Coach Caleb Horton and was the Sandites Offensive MVP. As a sophomore she earned an All-Conference nod and during her junior campaign was named All-Conference and All-District Honorable Mention. She is the daughter of Tony and Rebecca Ishmael and has two siblings, Nelson and Brooke. Hannah plans on majoring in Spanish while at Missouri Southern. Kacie was a three sport athlete for the Pirates of Pattonville High School competing softball, soccer, and swimming. Kacie was a three time first team All-Conference swimmer while earning the 2011-12 Scholar Activity Award at PHS, as well as earning a second team All-Conference nod her freshman year. She was a part of four straight team conference championships in swimming for the Pirates. Kacie was a three year starter on defense for Coach Tom Iffrig helping PHS to a third place state finish in 2009, and a state runner-up finish in 2010. She was also a part of three straight district championships and two conference championships on the pitch. In club soccer Kacie was a member of the 2010 President Cup Regional II champions team that eventually placed third in the nation. She is the daughter of Rodney and Carol Hulse and will join twin sister Kimberly on the Lions squad. Kacie and Kimberly also have two sisters Kristin and Kelli. Kacie plans on majoring in nursing at Missouri Southern. Kimberly was a three sport athlete at Pattonville High School participating in soccer, basketball, and cross country for the Pirates. Kimberly was a four year starter on defense for Coach Tom Iffrig while earning a second team All-Conference nod her junior year and a first team accolade her senior season. Kimberly was a two time Scholar Activity Award winner at PHS. She was also a part of three straight district championships and two conference championships on the pitch. In club soccer Kimberly was a member of the 2010 President Cup Regional II champions team that eventually placed third in the nation. She is the daughter of Rodney and Carol Hulse and will join twin sister Kacie on the Lions squad. Kimberly and Kacie also have two sisters Kristin and Kelli. Kimberly plans on majoring in nursing at Missouri Southern. Kayla was a four year started at midfielder for Coach Jack Baldwin and the Jaguars of Ft. Zumwalt West High School. While at FZWHS she earned Academic All-Conference honors all four years and was a part of three GAC South Conference Championships on the pitch. In club play was a part of the 2010 and 2009 Presidents Cup Regional II Championships, while helping St. Louis Scott Gallagher to a 2009 second place finish in the Missouri State Cup. Kayla also participated in the 2009 US Youth Soccer National Championships in Lancaster, Massachusetts. She is the daughter of Greg and Gina Gajewski and has one brother Ryan, who graduated from University of Missouri in 2011. Kayla is undecided on her major here at Missouri Southern. Michaela was a four year starter at outside middle defender for Coach Jackie Haller and the Bulldogs of Kearney (Missouri) High School. While on the pitch at KHS, Michaela earned All-District honorable mention honors in 2009, three second team All-Conference nods in 2009-11, and two second team All-District nods (2010-11). During her senior year Michaela also earned All-District honors for Cross Country and was selected as the Cross Country team captain, while leading the Lady Bulldogs to conference, district, and state championships. She played for the Kansas City Futbol Club Heat Soccer helping them to a State Cup finalist in 2009 and then a State Cup Championship and a third place finish at regionals in 2010. Michaela is the daughter of Steve and Mickie Altvater and has two siblings, Mackenzie and Tommie. She is currently undecided on her major at Missouri Southern. Southwest Baptist Bearcats won both of their MIAA matches this weekend. On Thursday they traveled to Emporia State where they won 3-1. On Saturday, they went to Joplin where they dismantled the MSSU Lions, 6- 1. SBU’s Rhiane Mitchell, who entered the week at the very top of the NCAA’s points and goals leader board, scored three goals and recorded one assist. Nicola Cousins added SBU’s other three goals in that game. Mitchell now has 10 goals. The SBU season record is 17. Natascha Lord (Waynesville 2008) and Ashley Wilson (Neosho 2007) came on as substitutes in both games for the Bearcats, with Lord getting a shot on goal Saturday at MSSU. 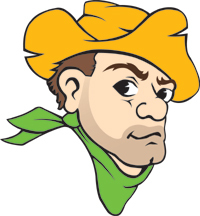 Missouri S&T Miners also opened GLVC play this weekend, hosting the Southern Indiana Screaming Eagles on Friday. The women won 2-1 in overtime with Brooke Ryan getting the game-winner in the 5th minute of OT. The men won 1-0 on a first half goal by Nick Landon. Zack Hay (Kickapoo 2008) started his 4th straight game, getting a shot on goal as well. Brandon Moore (Rolla 2005) is a captain and 3 year starter for the Miners. The Drury Panthers women opened GLVC play this weekend with a pair of wins, rebounding well from last weeks shocking loss to Harding. Friday night Drury beat UMSL 1-0, which included Anne Prenger (Catholic 2008) who came on as a substitute for the Tritons. Micah Little’s corner kick was deflected by UMSL keeper Hannah Sayre, but Colvin-Fritz was there to score off the rebound at 2:15 and give the defending GLVC champion Panthers all the offense they would need despite being outshot 11-6 in the contest. Their game Sunday against Southern Indiana was a 2-0 win, on a pair of goals late in the first half by Alyssa Alcorn and Melissa Perry. The Men also defeated UMSL, by a 2-1 score, with Steve Wilczewski (Glendale 2006) getting the ultimate game-winner in the 16th. Marco Cherisma got his first goal of the season as well. Kyler Temple (Kickapoo 2008) and Adam Peterson (Kickapoo 2007) came on as substitutes in the game. 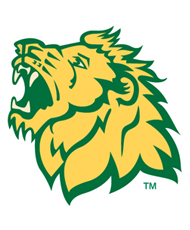 The Missouri Southern Lions women had a tough opening to the MIAA season, losing to Central Missouri State in overtime on Thursday followed by the tough loss to SBU on Saturday (see above). Brianna McKenzie (Webb City 2008) came on as a substitute in both games, while Lindsay Altman (Joplin 2008) and Brianna Ragains (Lebanon 2008) played on Thursday, with Ragains getting a SOG. On Saturday Randi Russell (Joplin 2008) got her first minutes in goal, playing the final 18 minutes of the game, giving up one goal and making one save. The men did not play. Their scheduled game at Rockhurst was canceled due to the weather. The Missouri State Bears men’s team won their first game of the season at the Nike Classic at the University of New Mexico campus. The 2-1 overtime win over the Cal-Poly Mustangs on Friday was the result of freshman Jordan Barnes stealing an errant back pass and beating the goalkeeper with a shot to the far post just 1:36 into the overtime period.